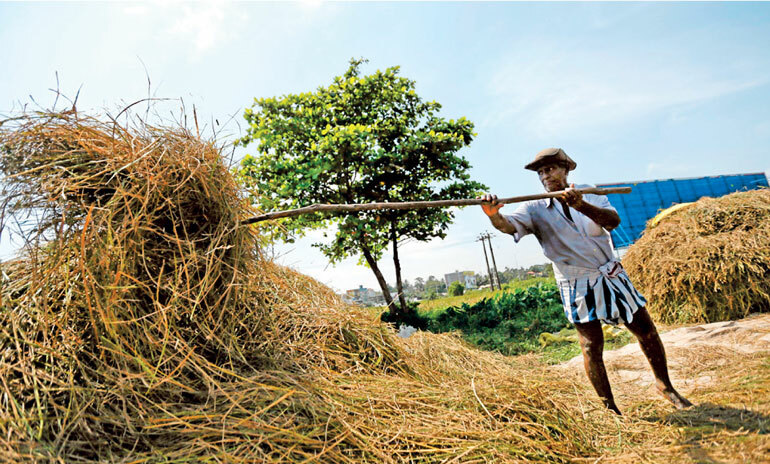 President Maithripala Sirisena yesterday stepped in to avert a crisis in agriculture with an assurance that the fertiliser subsidy would be continued for the farming community without any hindrance. “I will be personally dedicated to fulfill the highest responsibility in providing the fertiliser subsidy for the farming community,” the President said whilst addressing a special meeting held with relevant Ministers and the Members of Parliament as well as the representatives of the unions of the farmers, at the District Secretariat in Polonnaruwa. The assurance from the President came amidst protests by farmers and an alleged fertiliser shortage triggered by stockpiling by traders ahead of a 2016 Budget decision coming in to force from 1 March. Under the 2016 Budget, the Government decided to convert the subsidy to a cash allowance of Rs. 25,000 a year to encourage farmers to move away from using chemical fertilisers and to ensure that they are given good quality fertiliser, instead of the cheap kind that is often given on the subsidy. The matter came under widespread debate at the last Cabinet’s Economic Management Committee at which a decision to temporarily revert to the old method for fertiliser was agreed upon until a proper formula is found. At yesterday’s meeting representatives of unions drew the President’s attention to the issues they face with buying the paddy seeds and obtaining the fertiliser subsidy. They also presented their proposals and ideas in this regard. President Sirisena pointed out the need to work together with all parties and seek solutions for such issues. “The officials should take proper decisions at the proper time. 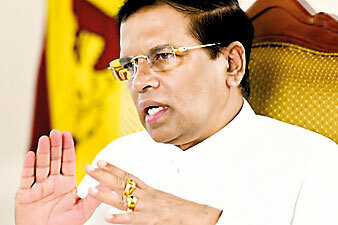 Nobody can get rid of the responsibility of the people’s issues by pushing it to one institution,” he said. “A special meeting on the issues of buying of paddy seeds and getting the fertiliser subsidy will be held in the future. The ideas and proposals of the representatives of the unions of the farmers will be taken into consideration at this meeting” the President further stated. Minister P. Harrison, Chief Minister of North-Central Province Peshala Jayarathna, Secretary to the Ministry of Agriculture, Director of the National Fertiliser Secretariat, Director General of Agrarian Services and the Director General of the Paddy Marketing Board also participated in this discussion. On Friday Finance Minister Ravi Karunanayake denied reports of a shortage and said farmers protests were uncalled for and politically motivated.